Students seeking personalized attention are well suited for our private classes. Each student is paired with one of our instructors who are eager to help enhance a student’s understanding and usage of the Spanish language. Private lessons at Berges are fully customizable. As a student enrolled in a private session with one of our instructors, you and the teacher will be able to discuss your goals and needs for studying Spanish, effectively creating a unique curriculum. Students at Berges can supplement a group class with private tutoring as well. Please note that group class curriculums are not customized, and private lessons are not based on a set curriculum. Private sessions reflect what the student wants to learn, rendering it a custom experience because the classes are molded to an individual’s study plans and goals. Join us for class at your convenience and on your time. We’re open daytime and nighttime on the weekdays and Saturdays, allowing us to offer you greater flexibility when it comes to planning your private study sessions at our locations in midtown Manhattan and in Chicago. Sometimes your schedule is in flux and changes. 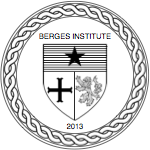 Berges’ private lessons can be altered, as you need. Our flexibility allows us to help keep you on track to learn your way by working with your schedule and needs. We do advise maintaining a regular study session with your instructor. Our private sessions are generally an hour long, so please plan accordingly when booking time to study. Schedule a private lesson at your convenience. Book your first lesson here or use our contact form and we will promptly respond to your inquiry. We offer packages of private lessons at discounted rates or you can book one-hour sessions, as you want.